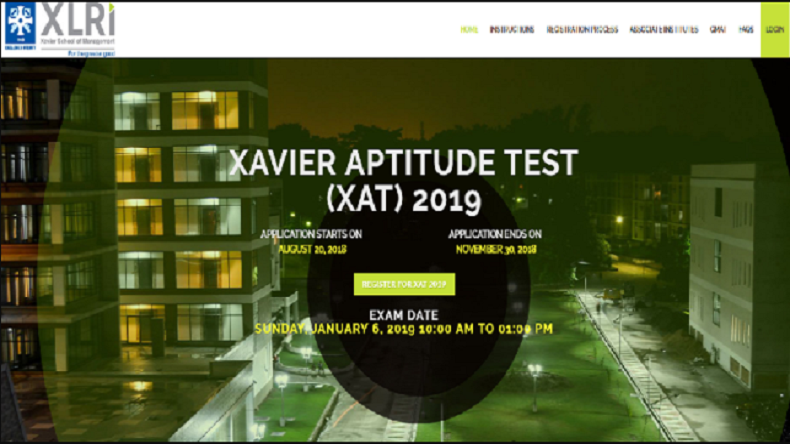 XAT Registration 2019: The online registration process for Xavier Attitude Test (XAT) 2019 will be opened tomorrow, i.e. on August 20. Interested candidates can apply through the website xatonline.in. The last date for applying is November 30. XAT 2019 examination to be held on January 6, 2019. XAT Registration 2019: The online registration process for Xavier Attitude Test (XAT) 2019 is all set to start from August 20. Eligible candidates who are interested to apply can visit the official website xatonline.in and fill in the application form and submit the same on or before November 30. According to reports, the XAT 2019 examination will be conducted by the Xavier School of Management on January 6, 2019. Candidates willing to apply must have a bachelor’s degree in any stream for appearing in the XAT 2019 entrance examination. The XAT exam will test candidates on verbal and logical abilities, decision making, quantitative ability and data interpretation, and general knowledge. Reports say that the examination will be held at 46 centres across the country. To register for the XAT 2019 online, candidates need to complete the registration process by logging into the official website home page. Candidates also need to make a payment of Rs. 1,700 while registering for the exam. They should note that if they fail to register for the examination on time, they will have to pay a fee of Rs 2,000 for late registration. Moreover, this year the XAT 2019 paper pattern has been modified. The essay writing section in the XAT examination has been removed and reports say that there will now be four sections in the paper which will have logical reasoning, decision-making, quantitative ability and data interpretation, and general knowledge. The exam will be conducted only in online mode on January 6, 2019. How to apply online for XAT 2019?